Twitter has become a household name, discussed both for its role in prominent national elections, natural disasters, and political movements, as well as for what some malign as narcissistic “chatter.” This book takes a critical step back from popular discourse and media coverage of Twitter, to present the first balanced, scholarly engagement of this popular medium. In this timely and comprehensive introduction, Murthy not only discusses Twitter’s role in our political, economic, and social lives, but also draws a historical line between the telegraph and Twitter to reflect on changes in social communication over time. 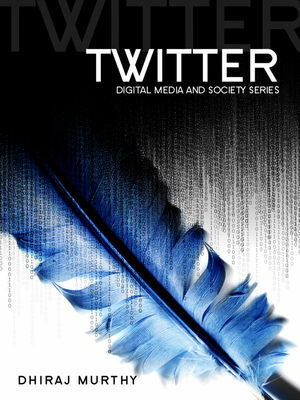 The book thoughtfully examines Twitter as an emergent global communications medium and provides a theoretical framework for students, scholars, and tweeters to reflect critically on the impact of Twitter and the contemporary media environment. The book uses case studies including citizen journalism, health, and national disasters to provide empirically rich insights and to help decipher some of the ways in which Twitter and social media more broadly may be shaping contemporary life.